We received about three inches of fresh powdery snow here in Keene last night. 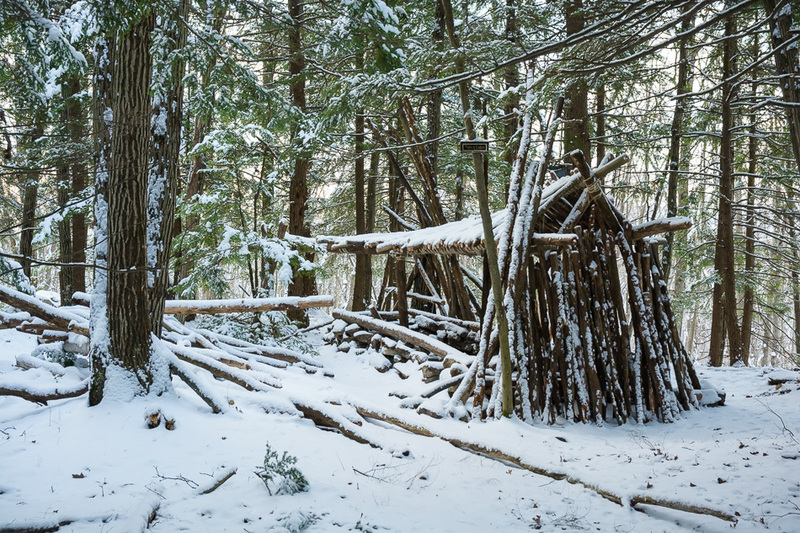 With the sun coming out early this morning, I knew that the light would be beautiful in the forest behind my house, so I layered-up and grabbed a camera to head out. 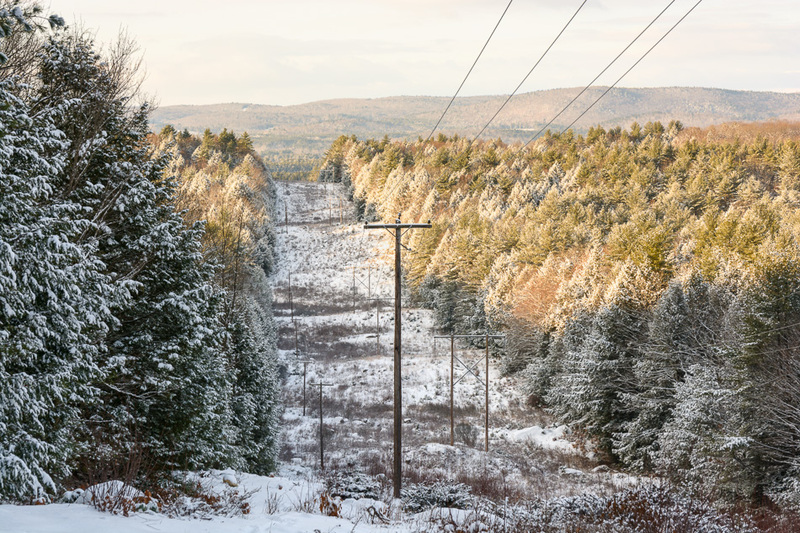 After hiking for about and hour, I came to the power line clearing on Drummer Hill which intersects Court Street in Keene. 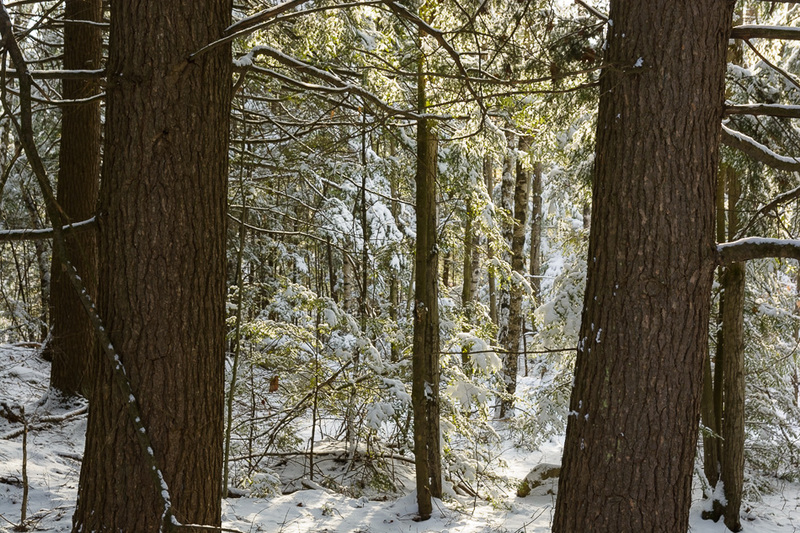 Looking toward West Keene, the early morning light was beautiful on the snow covered trees that lined the clearing. 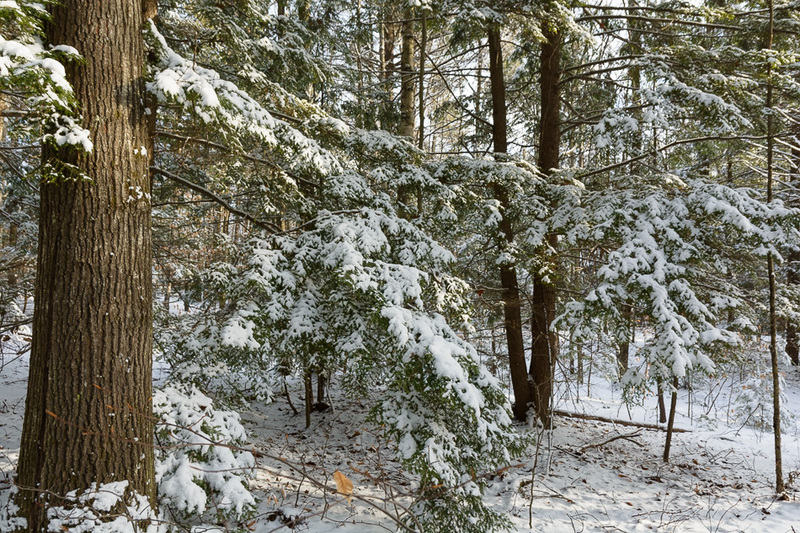 The evergreens were plastered with light, fluffy snow. 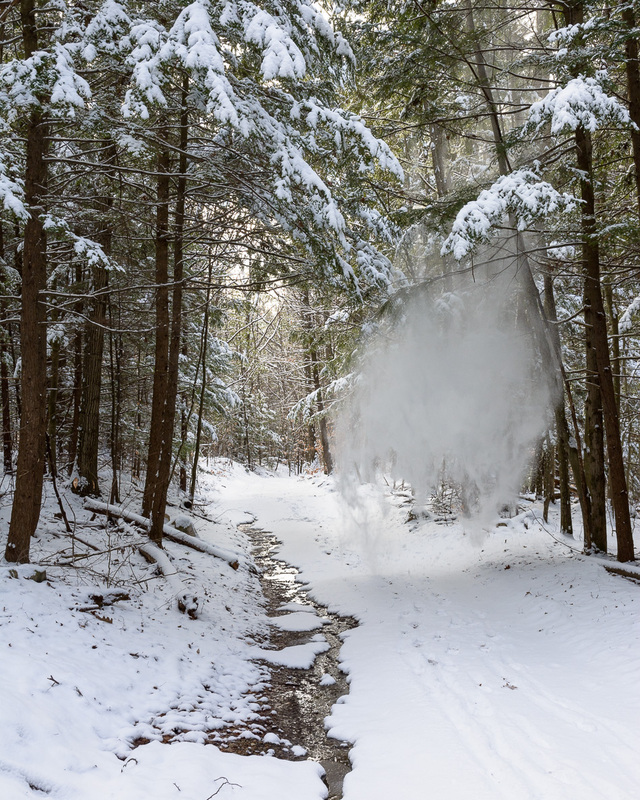 As the sun began to warm the branches of the trees, they would release their snow in a curtain of powder raining down upon the trail. Fortunately, my camera and I managed to avoid being underneath one of these. 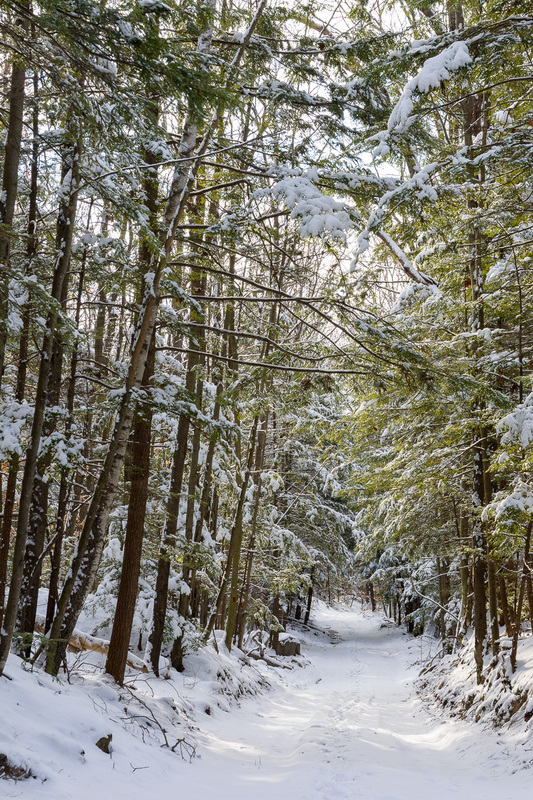 All along the trail, the snow covered trees leaned in, framing a perfect Winter scene. 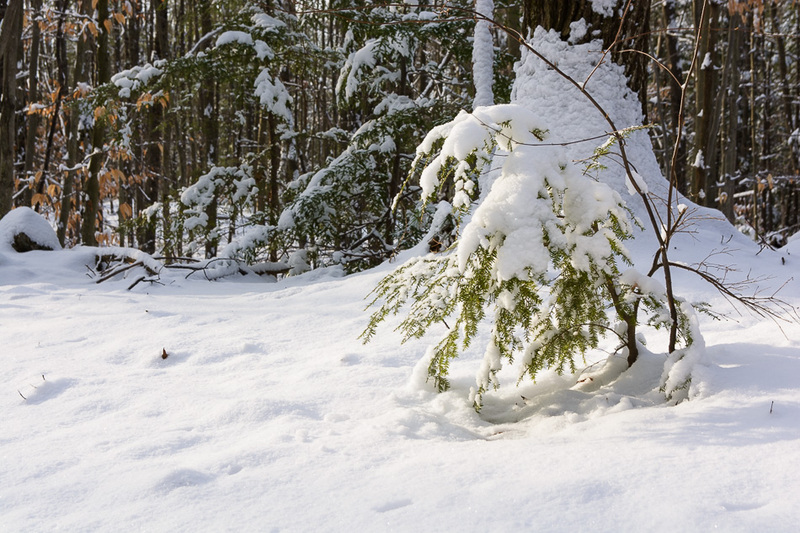 Small evergreens throughout the forest bent over from the weight of the snow. 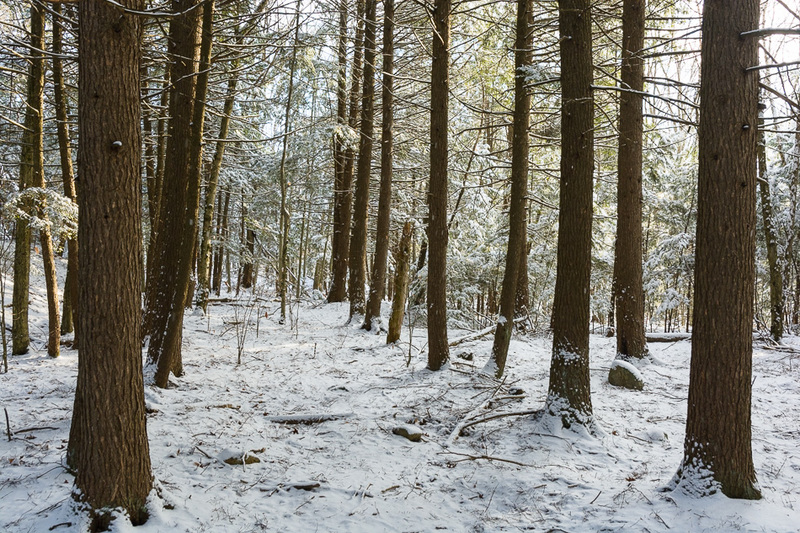 I found a new section of forest just off the trail which I had not explored before. 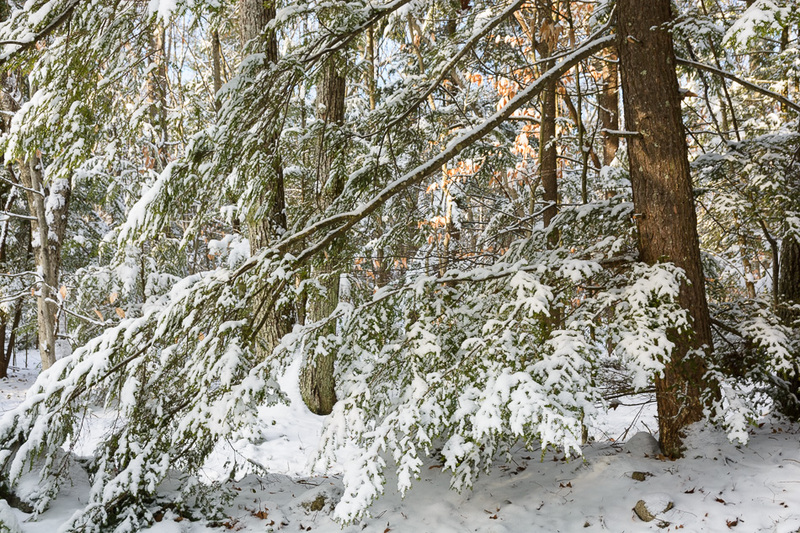 The light was beautiful here, and I loved the contrast of the dark brown tree trunks against the snow covered evergreens. Heading home, I found one last evergreen plastered with snow.